The structures of flowers and other plant parts represent a rich and complex source of botanical information with great potential to answer a variety of taxonomic, evolutionary, and ecological questions. As computational approaches become ever more central to biological research, there is a pressing need to translate this information into tractable digital data for analysis. In research presented in a recent issue of Applications in Plant Sciences , Phillip Klahs and colleagues refined a method for creating high-quality, three-dimensional (3-D) digital representations of plant structures. They demonstrated the effectiveness of this technique by creating models of the flowers of three species in the grass family, Poaceae. The wind-pollinated flowers of grasses are notoriously difficult to study due to their small, compact, and concealed structure. "Grasses are often underappreciated as flowering plants. The taxonomic keys are difficult, there is so much diversity, and because they are wind pollinated the flowers are labeled 'not showy,'" said Klahs, a graduate student at Iowa State University and the lead author of the study. 3-D digital representations of these structures could help botany students learning to identify different species of grass by floral structure. "My personal top application is bringing some love back to standard botany. I really want to help people become excited about keying out plants, especially scary plants like grasses and sedges," said Klahs. The technique developed by Klahs and colleagues involves taking images of thin sections of plant material with a light microscope and reconstructing these two-dimensional images into a 3-D model using computer-assisted design (CAD) software; an animation of the 3-D modeling steps can be viewed in the Video. This method has several advantages over existing techniques for creating 3-D models of plant structures, such as optical photogrammetry and X-ray tomography. It is cheaper than X-ray tomography, simultaneously produces usable microscope slides, and unlike optical photogrammetry, produces a model of the internal structure of the flower. 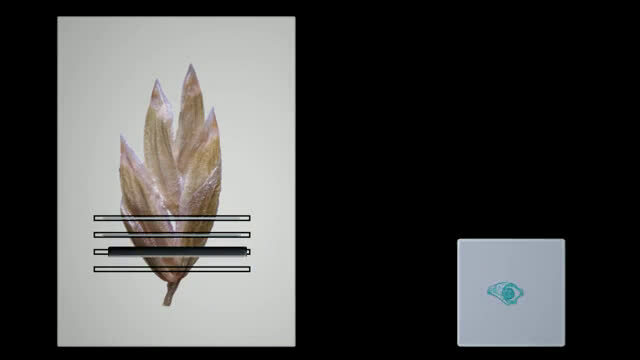 The technique presented in this study helps bring plant morphology further into the digital age. The high-quality 3-D digital representations of plant structures reported here, once created, can be made cheaply and easily available to scientists and educators around the world to use as they please. The scientists creating these models have likely not imagined all the potential uses for them, much like DNA sequence data in decades past. As for Klahs, he is "currently undertaking a systematic approach utilizing the 3-D models to address macroevolutionary questions, with side benefits of showing off how grass flowers are actually really beautiful."